Perennial that provides up to 44% protein year around for up to 5 years. 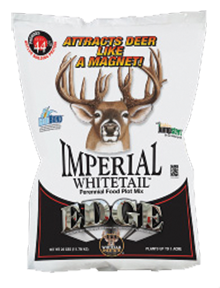 Contains Whitetail Institute's proprietary forages. Extremely drought and cold tolerant. Coated with Whitetail Institute's Rainbond. 26 lbs plants 1 acre.